The Krishna Engineering Continuous Steam Sterilizing System is ideal for High Temperature and Short Time decontamination of Spices, Herbs, Seeds, and other Organic Materials. The HTST process exposes contaminated materials to saturated steam for a very short time, then dries and cools the product. These process is considered to be the simple idea, and it is one of the most practical and effective methods for treating products in this industry. The Continuous Steam Sterilizer is equipped with pressure vessel of rotating blade screw conveyor which is mainly used fir large amounts of beans and corn flakes. 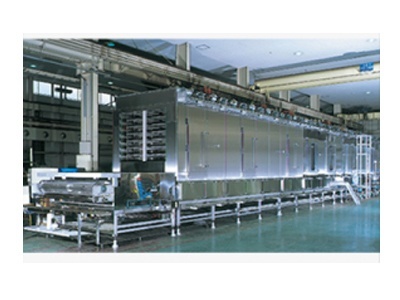 The Pressure vessel of vibrating tank conveyor specifically designed for continuous sterilization of herbs and spices. The device is basically applicable for short time processing under high temperature in medium form.